Classic, minimalist pieces for when you want to look polished and put together – on a budget! Sometimes when I wake up with 15 minutes to get ready and out the door, the last thing on my mind is looking put-together. Usually, “I really should go to bed earlier” is at the forefront. That’s why basic, classic pieces are always helpful to have to hand. There’s certain outfits that you can just throw on and instantly look as if you’ve put more effort into what you’re wearing than you actually have. 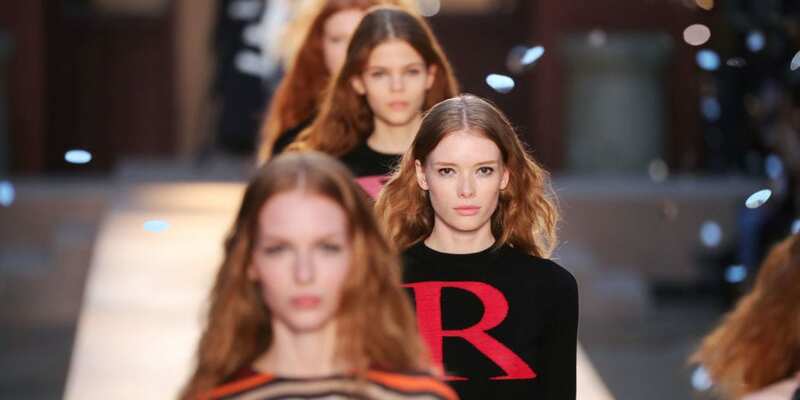 Collections like Sonia Rykiel Spring/Summer 2017 are great sources of this kind of minimalist inspiration. And what’s better than looking effortlessly put together? Doing so on a budget! It’s been said a billion times before, but a black dress is the easiest way to look like you have yourself together. Add a pair of black heels and an embellished clutch and you’re ready for a whole range of occasions – from holiday parties to dates, a black dress has got your back. 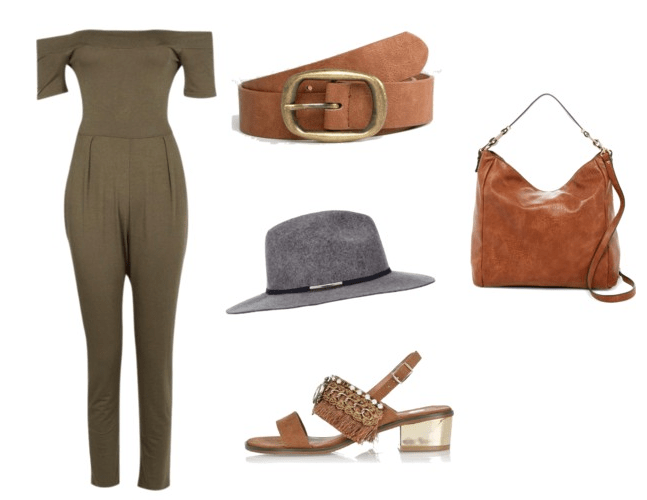 Olive green is always a huge trend when Autumn rolls around, as is faux leather. 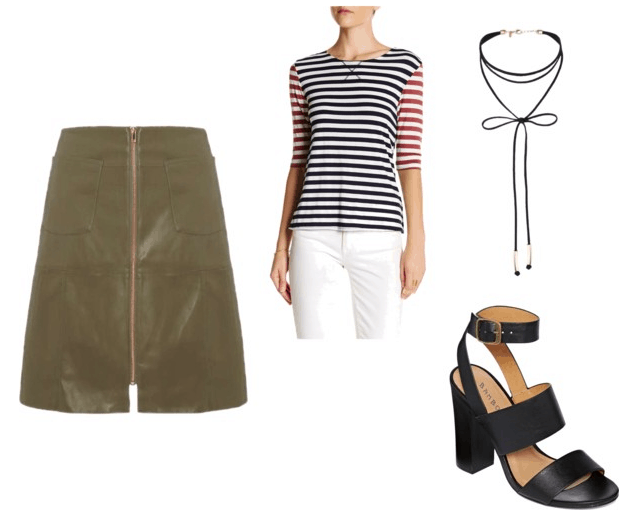 Pair this A-Line skirt with a striped top, and add an on-trend choker necklace to replicate the tie on this Sonia Rykiel top. Add a pair of chunky sandals to complete the look. Another huge trend: Bardot style jumpsuits. This one is even olive green -the color is everywhere right now! Add a tan belt and a hat and you’ve got an easy look to throw on without even thinking. Do you like this collection? Would you wear these looks? Which is your favorite? Let me know in the comments!